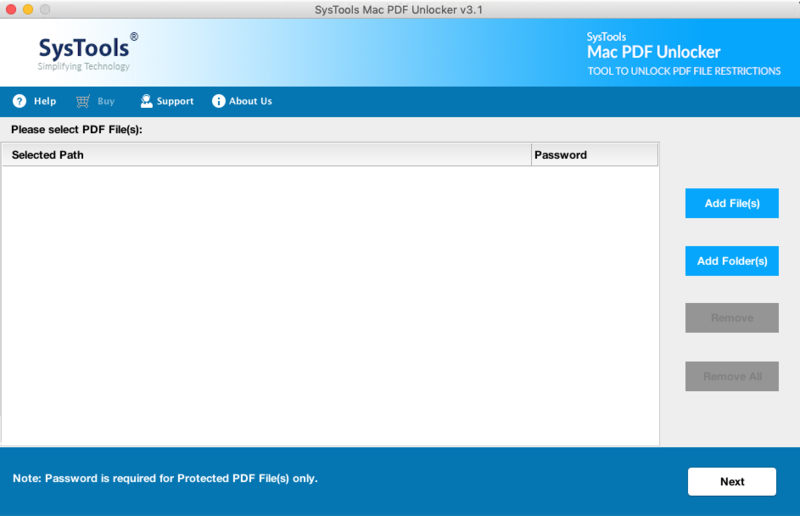 MAC PDF password unlocker allows you to remove password from PDF files. The software enables you to remove user level password applied to PDF files. This PDF password cracker allows you to remove both Owner level and user level security from PDF files. 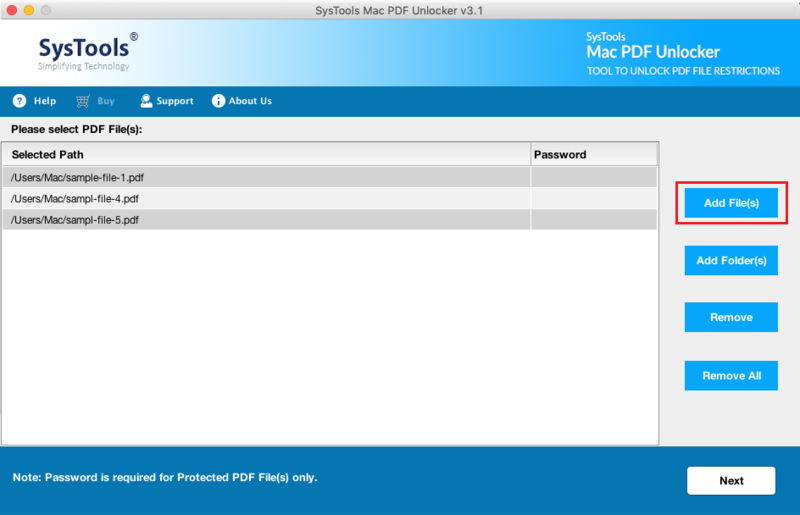 The MacWareTools PDF Unlocker enables you to remove restrictions from PDF files. It allows you to disable permissions like Copying, printing, commenting, etc. from the PDF files. This PDF password remover for Mac allows you to add multiple PDF files and remove password & restrictions from them. The software enables you to remove specific restrictions from the PDF file. 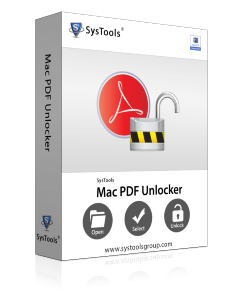 Once the password protected PDF file successfully loaded into the software, the MAC PDF Unlocker allow you to preview all the permissions applied to the PDF file. After removing the restrictions from PDF files, The PDF password cracker for Mac allows you to preview the updated permissions within the software. This can be viewed in ‘Before’ and ‘After’ columns. 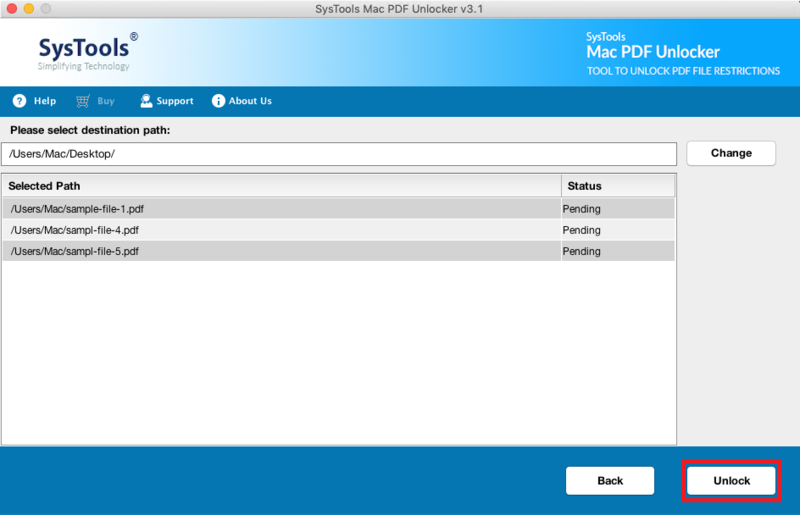 This PDF password unlocker tool for Mac is capable to run on Mac OS 10.13 and all the below versions, Also the software has an intuitive user interface. I had a PDF file of large size in which I was not able to add some comments or perform any other activity. Then I heard about this PDF unlocker for Mac. This tool solved my problem by enables me to edit my PDF files. I used many tools to unlock PDF files, but none of them were useful. Thereafter I found this Mac PDF password cracker, I must say this is an amazing tool. This allows me to remove any security on PDF and can perform document assembly. I used this Mac PDF password remover. I am totally impressed with its features. Before publishing a PDF when I tried to make changes in it, I got restricted. Then this tool helped me a lot to remove the password from PDF Document on Mac permanently. When I am assembling my PDF files, then I came across with an error Message that this PDF is protected and cannot be used for this command. But thanks to the developers, they made such an amazing tool which helps every Mac user to unlock their PDF files. 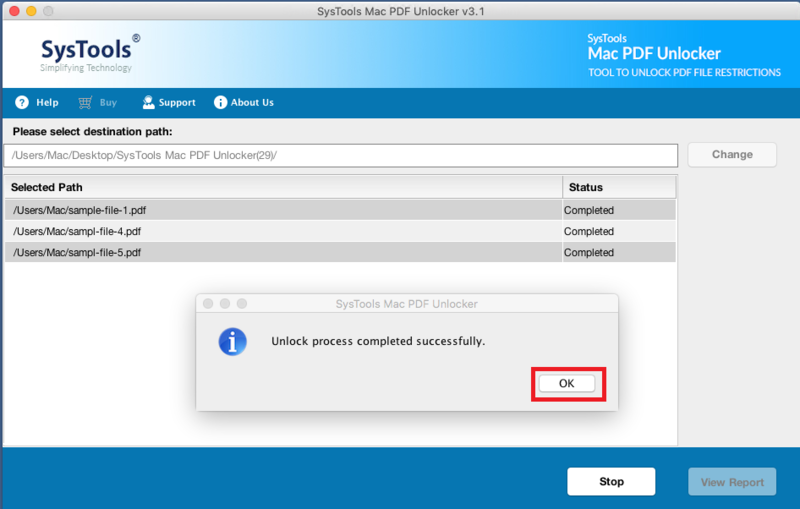 Demo version of Mac PDF Unlocker removes restrictions from PDF files, But while exporting the unlocked document you will get "SysTools" watermark on all the pages of that PDF document. Does this tool remove password from PDF files? Yes, this PDF password cracker for Mac allow you to unlock password protected PDF file. Can I remove restrictions from PDF files on my MAC OS? Yes, Software allows you to remove all the restrictions for copying, printing, editing etc. from pdf files. Does this software allow me to unlock password of multiple PDF files at a time? Yes, MacWareTools PDF password unlocker allow you to remove password from multiple PDF files. Can I view the restrictions of my password protected pdf files?